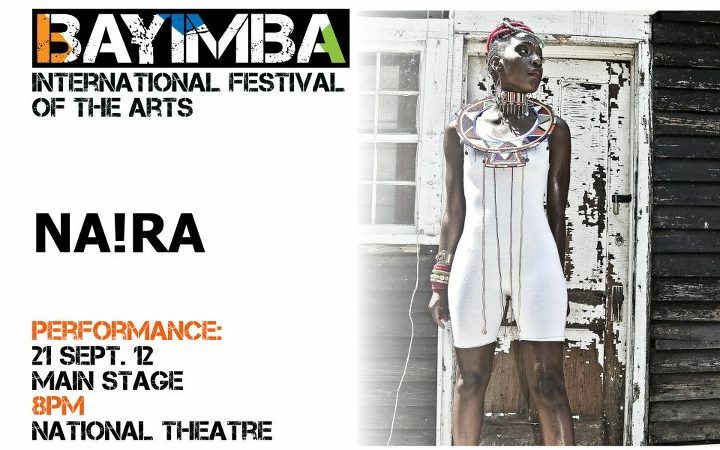 The Bayimba International Festival of the Arts will be running from 21-23 September 2012, and this year’s theme will be celebrating 5 years of artistic inspiration. There will be other activities like the creative writers workshop running from Monday up to Friday 14 September at the Uganda Museum. Among the entertainers to look out for is Singer and pianist LYLIT, a recent signing of former Motown Boss Kedar Massenburg to his label Lab. He is behind acts like Erykah Badu, India Arie, D’Angelo, etc. She has been on tour through Europe with Joe, Keith Sweat and En Vogue. NA!RA is another trailblazing recording artist, songwriter and cinematographer. The afro-pop fusion emcee! Blending love, pain, strength and charisma into one powerful punch is her style of music. Her music is the pulse of everything urban, pulling from influences of hip-hop, afro-beat and electro-soul. She will also be instructing children from 14 years above in visual arts. She is slotted for a performance on 21 September at the National Theatre. Important to note also is that the Bakisimba Waves, Afrigo Band and other artists that started with Bayimba on its lengthy journey of five years will be showcasing their music. The Barbed Wire Thong Band founded by acclaimed drummer, singer and songwriter Isaac Zimbe and managed by the talent agency Big Mama’s Business will also be performing. For years now, the band members have thrilled audiences across the East African region, Europe and the US. Tremendous energy and proven ability to entertain audiences from all walks of life are some of their prized assets. With a repertoire of over 100 cover songs and a few original compositions, the band plays to every client’s specification captivating audiences with their sincerity and power. The members were drawn from renowned successful bands such as Afrigo, Soul Beat Africa, Blood Brothers and Misty Jazz Bands. They have prepared a special repertoire called the “TREAT” for this year’s Bayimba International Festival. 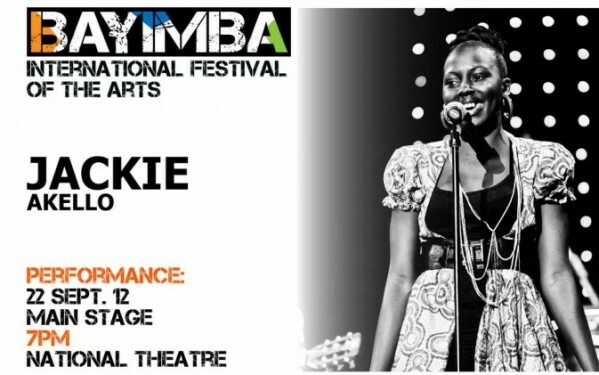 Jackie Akello is an African contemporary and urban music performer. 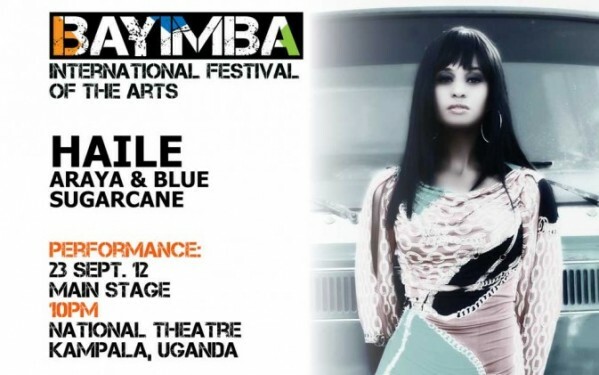 She sings in most popular languages like Acholi, Luganda, Swahili and English. As her first solo appearance at the Bayimba International Festival of the Arts, Jackie begins a new journey of performing her own music compositions that she chooses to call “Hybrid” a simple cross between urban and local sounds back home. She will be performing on 22 September at the National Theatre main stage. Among the festivals she has participated in is the Uppsala Reggae Festival in 2009. Due to her African and European background Hailee is multilingual which landed her a French-speaking lead role in a short film called Pillow Talk produced by Anagram productions in Sweden. For this she got the pleasure of working with one of the top production companies in Sweden. It received wonderful reviews at the Gothenburg Film Festival and by critics. She will be performing on 23 September. Best festival in the world? The entrance fee will only be 1000 Ugandan shillings. Philip Masembe, the Bayimba Media coordinator says it is one way of giving every attendee a chance to come and enjoy art. There will be gift hampers too from Air Uganda, a free ticket to any choice destination with in East Africa. Renewills, Club Beer as well as Banana Boat will also be giving gift hampers away. Artistically, according to Philip, you will walk away with the impression that Bayimba is the best music festival, not only in Uganda but also in the whole world. Stitching Doen, The Uganda Germany Cultural Society, The Theatre Factory, Commonwealth Foundation, Goethe-Zentrum Kampala, and the British Council are among some of the sponsors.